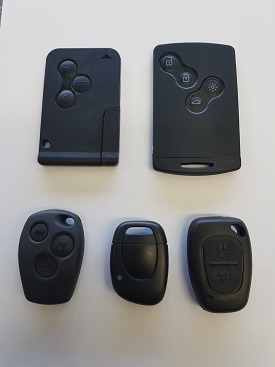 Lost Your Renault Car Key and Need A Replacement or Spare? We are known for our excellent customer service and quick response times - with mobile locksmiths able to replace your keys at a time and place that suits you. Our team of experts can help at the roadside, your place of work or at your house, 24 hours a day, 7 days a week. Renault models we work with include Capture, Clio, Espace, Scenic, Grand Scenic, Kangoo, Koleos, Laguna, Maxily, Megane, Modus, Master, Traffic, Twingo, Wind and Val Satis. Car Key Assist have been providing a high quality, low cost vehicle locksmith service for 30 years and have maintained a reputation for providing the best service possible.